Last week, authors Joseph D’Antoni and Stacia Misner released a new white paper that talks in detail about the use of Power BI in a hybrid environment taking advantage of the Data Management Gateway. In their words from the white paper summary: “Many organizations are taking advantage of the benefits of cloud computing such as lower capital expenditures and increased agility, while still maintaining data in on-premises data stores. 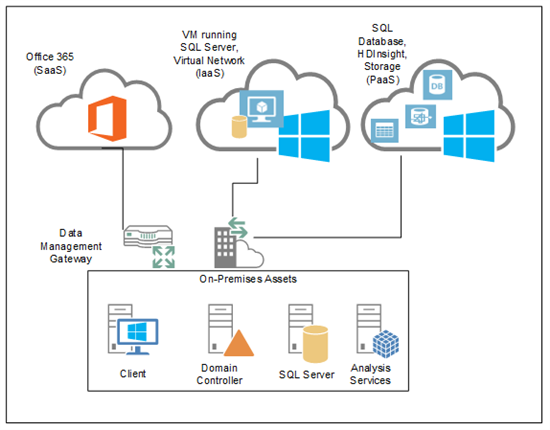 This paper describes best practices for security, networking, and component architecture for building a hybrid business intelligence (BI) environment by using a combination of Microsoft Office 365, Microsoft Azure, and on-premises data sources”. Joseph D’Antoni is a Senior Architect with over a decade of experience working in both Fortune 500 and smaller firms. He is currently Solutions Architect for SQL Server and Big Data for Anexinet in Blue Bell, PA. He is frequent speaker at major tech events, a Microsoft SQL Server MVP, and blogger about all topics technology. He is the co-president of the Philadelphia SQL Server Users Group. He holds a BS in Computer Information Systems from Louisiana Tech University and an MBA from North Carolina State University. Stacia Misner is a consultant, educator, mentor, author, and SQL Server MVP, specializing in business intelligence solutions since 1999. During that time, she has authored or coauthored multiple books about BI. Her latest books include Microsoft SQL Server Reporting Services 2012 (Microsoft Press, 2013) and Business Intelligence in Microsoft SharePoint 2013 (Microsoft Press, 2013). Stacia provides consulting and custom education services through her company, Data Inspirations; speaks frequently at conferences serving the SQL Server community; and serves as the chapter leader of her local PASS user group, SQL Server Society of Las Vegas. She is also a contributing editor for SQL Server Pro magazine. Stacia writes about her experiences with BI at blog.datainspirations.com and tweets at @StaciaMisner.